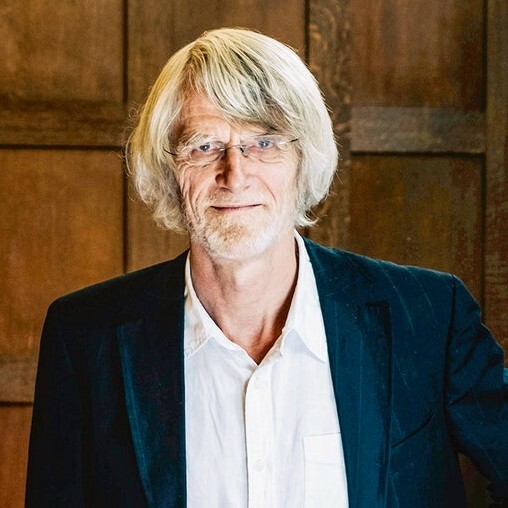 Philippe Van Parijs studied philosophy, law, political economy, sociology and linguistics at St Louis University (Brussels) and at the Universities of Louvain, Oxford, Bielefeld and California (Berkeley). He holds doctorates in the social sciences (Louvain, 1977) and in philosophy (Oxford, 1980). After having been a researcher at Belgium’s National Fund for Scientific Research (FNRS) from 1974 to 1991, he was appointed professor at the Faculty of economic, social and political sciences of the University of Louvain (UCL) and invited to set up the Hoover Chair of economic and social ethics, which he directed from 1991 to 2016, when he became professor emeritus. In parallel, he was a Regular Visiting Professor at Harvard University from 2004 to 2010 and at the University of Oxford from 2011 to 2015. After the Autumn semester 2016 spent as a Robert Schuman Fellow at the European University Institute (Florence), he will keep teaching and the Universities of Louvain and Saint Louis (“Political Philosophy and the European Union”), as well as at the University of Leuven, where he has been a “Special Guest Professor” since 2006. In addition, he held visiting positions at the Universities of Amsterdam, Manchester, Siena, Québec (Montréal), Wisconsin (Madison), Maine (Orono), Uruguay (Montevideo) and Aix-Marseille, the European University Institute (Florence), the Russian Academy of Sciences (Moscow), the Federal University of Rio de Janeiro, the Chinese Academy of Social Sciences (Beijing), the Catholic Faculties of Kinshasa (Congo), All Souls College (Oxford), Yale University, Sciences Po (Paris), the Autonomous University of Barcelona and the Ecole normale supérieure (Paris). He is a Fellow of the British Academy and a member of Belgium's Royal Academy of Sciences, Letters and Fine Arts and of the European Academy of Arts and Sciences. He holds an honorary doctorate from Laval University (Québec). In 2001, he was awarded the Francqui Prize, Belgium's most generous scientific prize, and in 2011 the Arkprijs voor het Vrije Woord , an annual prize meant to honour public personalities who illustrate the freedom to speak out. In 2007, a post stamp was devoted to him within the framework of a series ("This is Belgium") featuring nine outstanding Belgian scholars. He is a member of the editorial boards of many international journals, including Journal of Political Philosophy, Philosophy & Public Affairs, Politics Philosophy and Economics, Journal of Ethics, Critical Review of International Social and Political Philosophy, European Journal of Political Theory, Ethical Theory and Moral Practice, Ethical Perspectives, European Journal of Philosophy, Philosophical Explorations, Journal of Multilingual and Multicultural Development, Basic Income Studies, Egalitarian Theory and Political Practice, Journal of Applied Philosophy, Public Reason, Revue de philosophie économique, Raisons politiques, Raison publique, Revue philosophique de Louvain, Ethiek en Maatschappij, Econômica and Sin permiso. His books include Evolutionary Explanation in the Social Sciences (London & Totowa NJ 1981), Le Modèle économique et ses rivaux (Genève 1990), Qu'est-ce qu'une société juste? (Paris 1991), Arguing for Basic Income (London 1992, ed. ), Marxism Recycled (Cambridge 1993), Real Freedom for All (Oxford 1995), Sauver la solidarité (Paris 1995), Refonder la solidarité (Paris 1996), Solidariteit voor de XXIste eeuw (Leuven 1997), Ethique économique et sociale (Paris 2000, with C. Arnsperger), What's Wrong with a Free Lunch? (Boston 2001), Hacia una concepcion de la justicia global (Medellín 2002), Cultural Diversity versus Economic Solidarity (editor, Brussels 2004), L'Allocation universelle (Paris 2005, with Y. Vanderborght), Just Democracy. The Rawls-Machiavelli Programme (Colchester, 2011), Linguistic Justice for Europe and for the World (Oxford, 2011), After the Storm. How to save democracy in Europe (editor, Tielt, 2015 with L. van Middelaar) and Basic Income. A radical proposal for a free society and a sane economy (Harvard UP, 2017, with Y. Vanderborght). In 1986, he was one of the founders of the Basic Income European Network (BIEN), which became in 2004 the Basic Income Earth Network, and he chairs its International Board.